Note: Stock Trends indicators are applied only to stocks that have traded for at least 40+ weeks. A trading history of this period is required to calculate a 40-week moving average and categorize a primary trend. 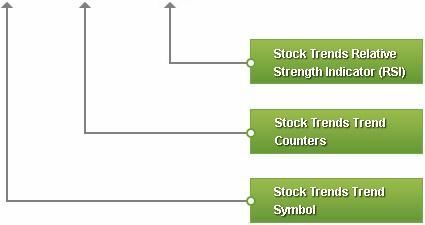 Also, Stock Trends indicators are not applicable to stocks with a variance of less than 10% between the 52-week high and low (these stocks are in a 'flat' trend).